Leaves for Trees: Happy Halloween! Halloween. A glorious holiday celebrating sugary treats and pretending! I have always loved this holiday, mostly because I love candy. Or I used to. I don't have a hankering for it like I did when I was little...maybe too much Halloween candy? 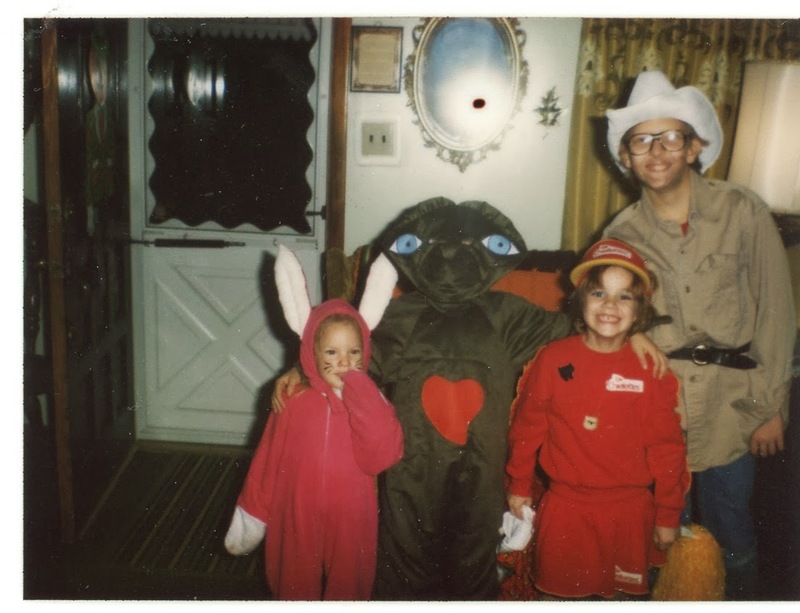 When I was little, Halloween was a big deal. We always made our own costumes out of what we had on hand. 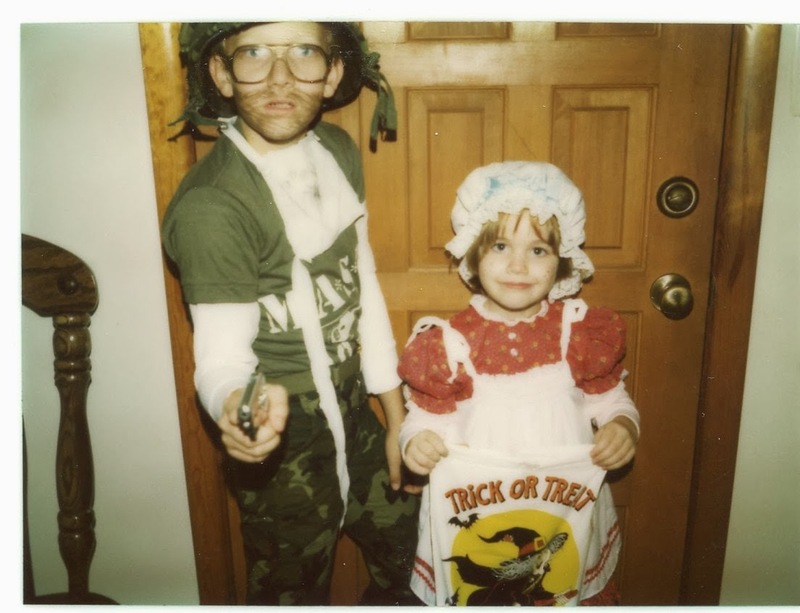 I remember that my brother and I would tool around our neighborhood for hours looking for the best candy-giving houses. I specifically remember a house giving cans of soda one year...what a find! And then there was the house that gave out the gross orange and black wrapped candy. Once a Chiefs fan, always a Chiefs fan. 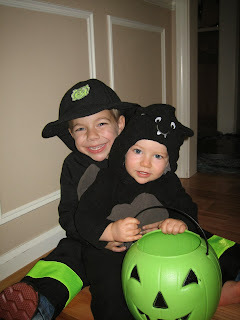 We would trick or treat regardless of the weather. In fact, one year tornado sirens were going off and my brother and I kept going! My parents used to keep our Halloween candy bags on top of the refrigerator so that they could monitor our intake. Of course, I always climbed up on the counter to get my fill. Nowadays we buy our children's costumes. 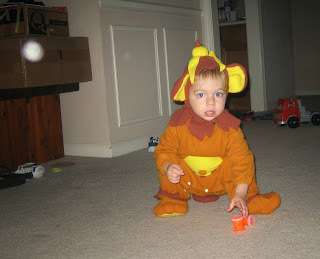 Some parents lament the days of making due with what you had on hand, but when they turn out this cute, who am I to say no? Trick-or-treating during a tornado warning! Now that's dedication. 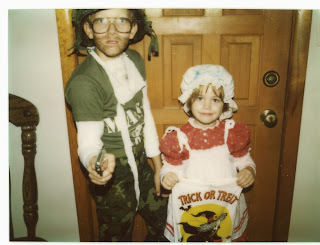 The first year we lived in Washington my kids were 5 and 2 and were a princess and a witch, both with long costumes. Of course it was raining - no, pouring - and those kids were wet up to their knees from the costumes dragging on the wet ground. But at least it was a tornado! Happy Halloween! What cute pics! I remember the gross black and orange candy. What was that stuff anyway? I don't think it was edible. :) Our candy went way up into the pantry. My Mom monitored it, but I also have suspicions that she raided our stashes when we weren't there! Speaking of cute . . . what great memories already captured for fun times in the future!